"I call upon StarClan to give you many seasons of rest. Your clan thanks you for your service." finished Wildstar. "Blazenest, Blazenest, Blazenest!" cheered Peppermintnose for her former denmate. Foxwater padded out of her den, dragging the body of Minkleg in her jaws. She made her way to the center of the clan camp, arranging the deputy's body so the clan could grieve. Stickflower padded over and pressed her nose into Minkleg's fur. Wildstar pressed her nose into Minkleg's fur, then tossed her head back in a yowl. "Cats of BrookClan. Listen, And I will appoint the new deputy. 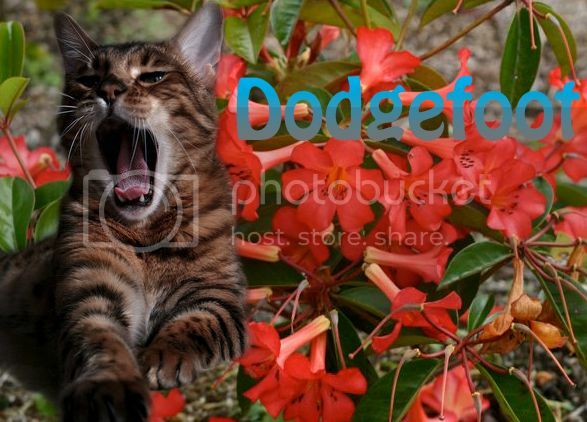 I say these words before StarClan so our ancestors may hear my approve and choice...Dodgefoot will be the deputy of BrookClan!" "Thank you, Wildstar." meowed Dodgefoot quietly. "Dodgefoot, Dodgefoot, Dodgefoot!" cheered Leafheron for the clan's new deputy. Calmcloud padded past her clanmates and into the nursery, squeezing inside carefully. Once inside, she dipped her head to the other queens and settled down into an empty nest. Foxwater padded into the BrookClan camp, carrying borage leaves in her jaws. She made her way into the den she shared with Thunderpaw, placing the borage leaves into the storage. "Let all cats old enough to catch their own prey gather for a clan meeting!" yowled Wildstar from the center of the clan camp. Skyflower pricked up her ears and padded over to hear what Wildstar had to say. "I, Wildstar, Leader of BrookClan, call upon my warrior ancestors to look down on these apprentices. They have trained hard to understand the ways of your noble code, and I commend them to you as warriors in their turn. Acornpaw, Littlepaw, do you promise to uphold the warrior code and protect and defend this Clan, even at the cost of your life?" "I do." meowed Acornpaw quietly. "Then by StarClan, I give you both your warrior names." continued Wildstar. "Acornpaw, you will be known as Acornraven. Littlepaw, you will be known as Littletail. 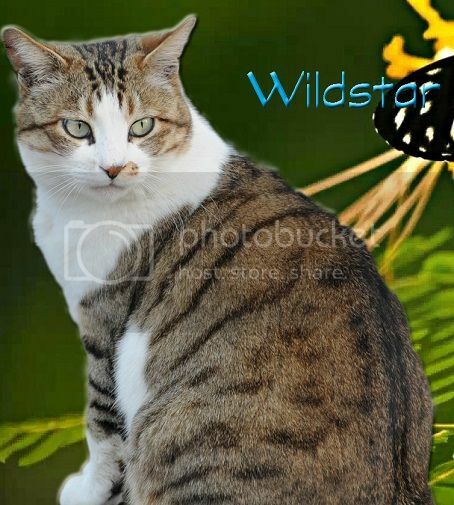 StarClan honors you both and we welcome you both as full warriors of BrookClan." Acornraven gave a quiet little purr to himself, listening to the clan call out their new names. Littletail puffed out his chest proudly as the clan called out their new names. "Acornraven, Littletail! Acornraven, Littletail!" cheered Blazenest for the clan's newest warriors. Calmcloud purred and licked at the four tiny kits at her side as they mewled and squealed for milk. As she touched her nose to each kit, she sent a silent thanks to StarClan for a healthy litter. "We gather today to welcome four kits into their lives as apprentices." continued Wildstar once the clan had gathered. "Sharpkit, you will be known as Sharppaw. Stormswim, you will be mentor to Sharppaw. Echokit, you will be known as Echopaw. Riverpelt, you will be mentor to Echopaw. Frecklekit, you will be known as Frecklepaw. Quickbramble, you will be mentor to Frecklepaw. Sparrowkit, you will be known as Sparrowpaw. Sunleaf, you will be mentor to Sparrowpaw." Sharppaw got to his paws and padded slowly to Stormswim. "Let's go check out the territory." meowed Stormswim as she touched noses with Sharppaw. Echopaw padded daintily over to Riverpelt.